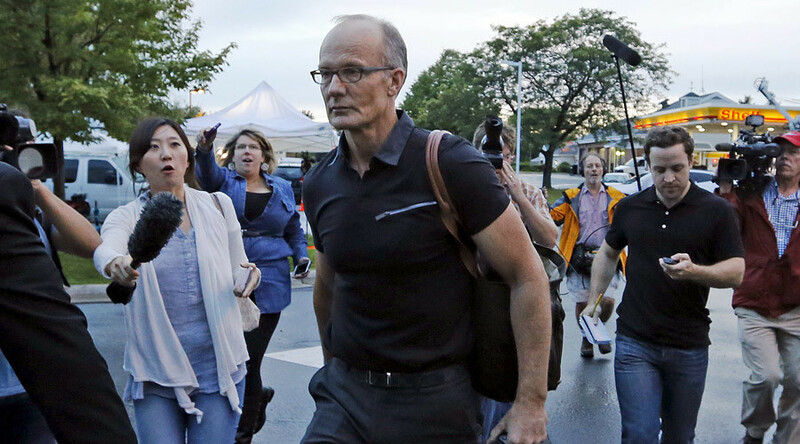 The US dentist who sparked international fury after killing Cecil the Lion will not be prosecuted in Zimbabwe because he had permission to hunt and his “papers were in order,” according to the country's environment minister. "We approached the police and then the Prosecutor General, and it turned out that [Walter] Palmer came to Zimbabwe because all the papers were in order," said Environment Minister Oppah Muchinguru-Kashiri, as quoted by Reuters. She added that Palmer is allowed to return to Zimbabwe as a tourist, but not as a hunter. Muchinguru-Kashiri, who had previously called on Palmer to be extradited and face prosecution, said the country will now review how it issues hunting licenses. The news drew criticism from the Zimbabwe Conservation Task Force, which first reported news of Cecil's killing. The group says it plans to pursue legal action against Palmer in the US. "The fact is the law was broken. We are going to get our advocates in America to actually see what they can do to bring justice to him," said Johnny Rodrigues, head of the task force. The US Fish and Wildlife Service previously said it was investigating the killing of Cecil. Palmer admitted to killing the rare black-maned lion outside Hwange National Park in Western Zimbabwe in July, but has repeatedly denied that he acted illegally. The 55-year-old dentist paid US$55,000 for the hunt, which resulted in the death of 13-year-old Cecil. The lion was shot with a bow and arrow and later finished off with a bullet. The dentist returned to work at his Bloomington, Minnesota, practice in September, after going into hiding for two months amid international outrage. Palmer, who said that he and his family have been threatened since the story unfolded, was met by protesters when he arrived at his office. In a July statement, Palmer said he deeply regrets “that my pursuit of an activity I love and practice responsibly and legally resulted in the taking of this lion,” adding that he hired professional guides and secured proper permits for the hunt. Meanwhile, two others still face charges related to the lion's killing, both of whom were allegedly involved in using bait to lure Cecil out of his habitat so he could be killed. Theo Bronkhorst, a professional hunter in Zimbabwe, is charged with breaching hunting rules, while a game park owner is also charged with allowing an illegal hunt. Both have denied the charges. Wildlife hunting, which earned $45 million last year, is a major source of income for Zimbabwe.